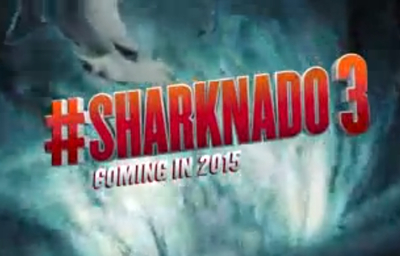 The Sharknado franchise is a Syfy original made-for-TV movie series. This tiny teaser is the first announce of a third installment to the franchise. No casting news has been released but you can expect to see Tara Reid and Ian Ziering, stars of the first two Sharnado films.